4 friends on a road trip reaching the far end of Russia. I have no idea what to make of (No Direction Home), but I was consistently intrigued. Surely strange, a rough patchwork of a film, it stubbornly refuses to smooth itself over, bizarre zooms and fades dominate. When Harmony Korine created a manifesto for mistakist cinema, maybe he had something like this in mind, down to the mistake-ridden English subtitles. The film really offers no answers, but it's astonishingly exotic. We see crumbling Russian towns and Siberian countrysides. These are important images, especially when presented from the inside, and with such an avant-garde spirit. Personal Russian cinema, made by normal Russian youth, grappling with their own youth, in this case, their pessimism, hopelessness. This is the kind of film I've been hoping to see pop up worldwide. Personal films made by uncompromising artists outside of government funding, somehow scrounging together pennies to make a film with their friends. Synopsis: A Metaphorical road trip on the road of knowledge. Acceptance of oneself and death. 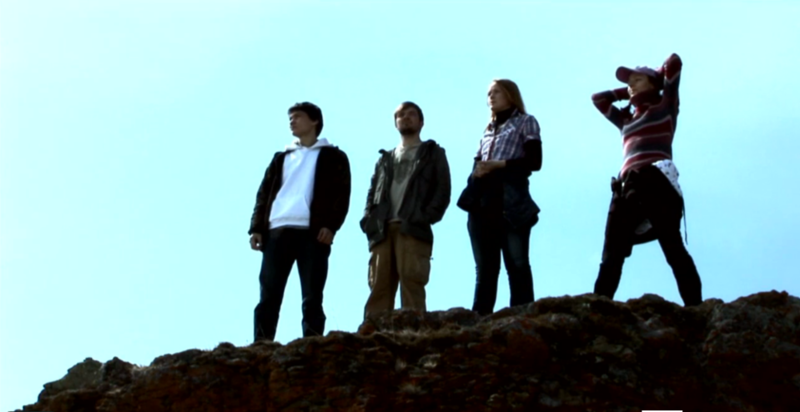 Four friends going back home to East Siberia of Russia and then further away to the end of the world to try to understand their purpose and find the meaning in life. Each deal with one's problems and mainly it is a story of death acceptance. The journey takes many metaphorical twists and turns as in one's way to understand something. Directed by Alex Formos.